Hello friends! 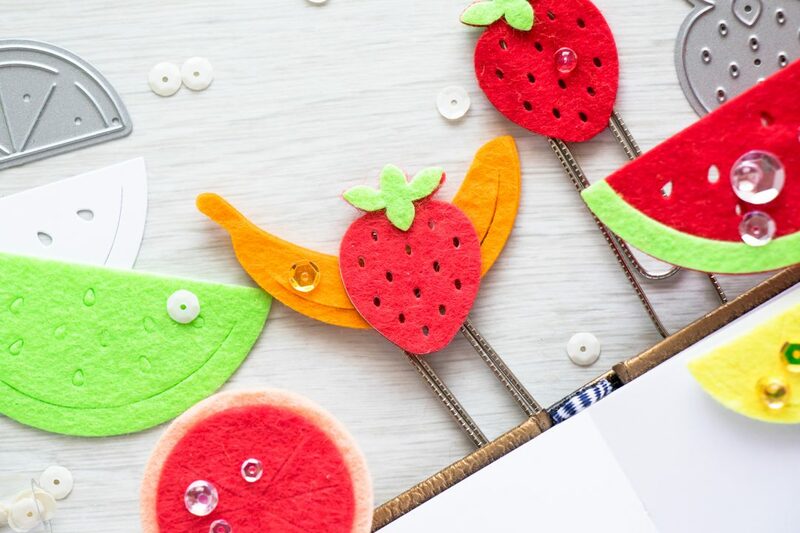 I am up on Hero Arts blog today sharing a fun and simple project – Jumbo Fruity Paper Clips using Fruit Salad Fancy Dies. I made those to use as bookmarks and also as dividers in my planner. 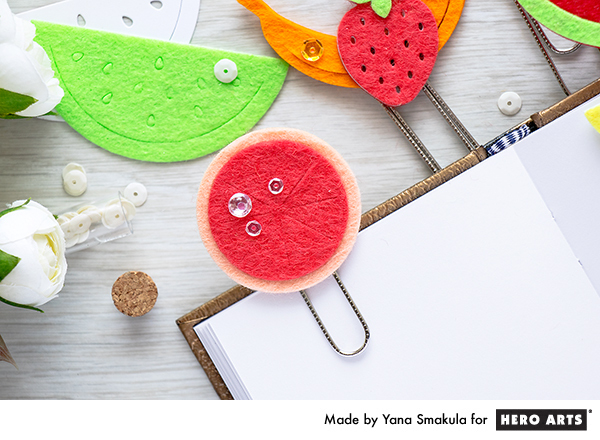 Super easy to make, all you need is some felt, adhesive sheets and a die cutting machine! Hi Yana ~ These are ABSOLUTELY adorable!! Love them. Thanks for sharing.